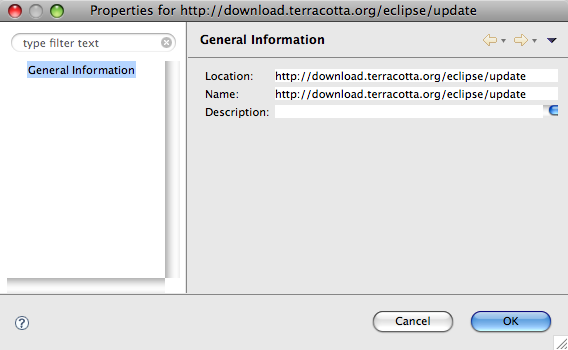 I just installed Eclipse Ganymede on Leopard, and within minutes noticed weird screen artifacts and GUI problems. The welcome page had these big tooltips that were always chopped off. I’d show a picture here, but I can’t figure out how to get back to that page. Although no plugin apears, it really is there…somewhere behind the broken GUI. 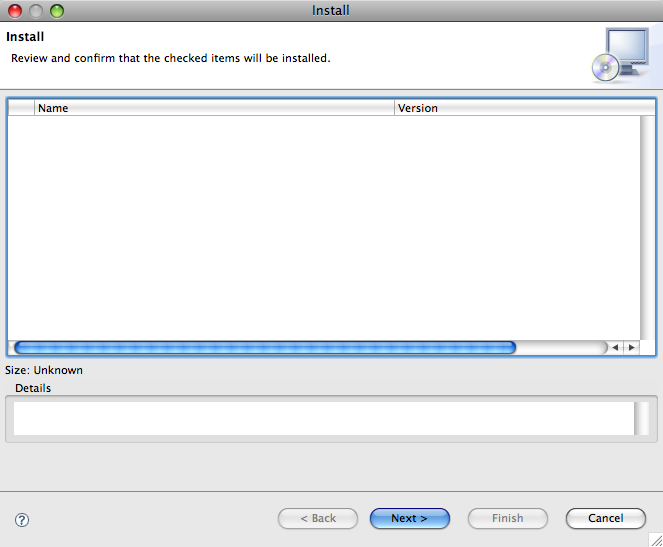 I clicked next and proceeded through the installation successfully. That is a real button…you can click on it, but I’m not sure what it does. Do these Eclipse Ganymede problems exist on other platforms? Will porting SWT to Cocoa fix these artifacts? Posted on Saturday, June 28th, 2008 at 10:08 am in Apple, Java.